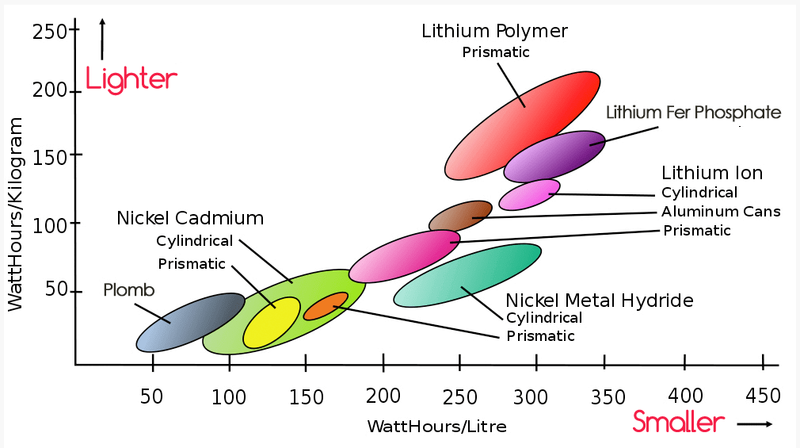 In addition to all that wasted generator time, lead acid battery suffer another efficiency issue – they waste as much as 15% of the energy put into them via inherent charging inefficiency. So if you provide 100 amps of power, you’ve only storing 85 amp hours. 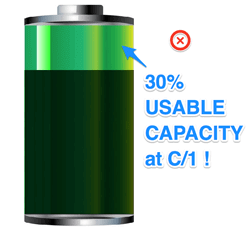 The above example shows specification of Concord AGM battery : this spec states that the battery can provide 100% of it’s rated capacity if discharged in 20 hours (C/20). 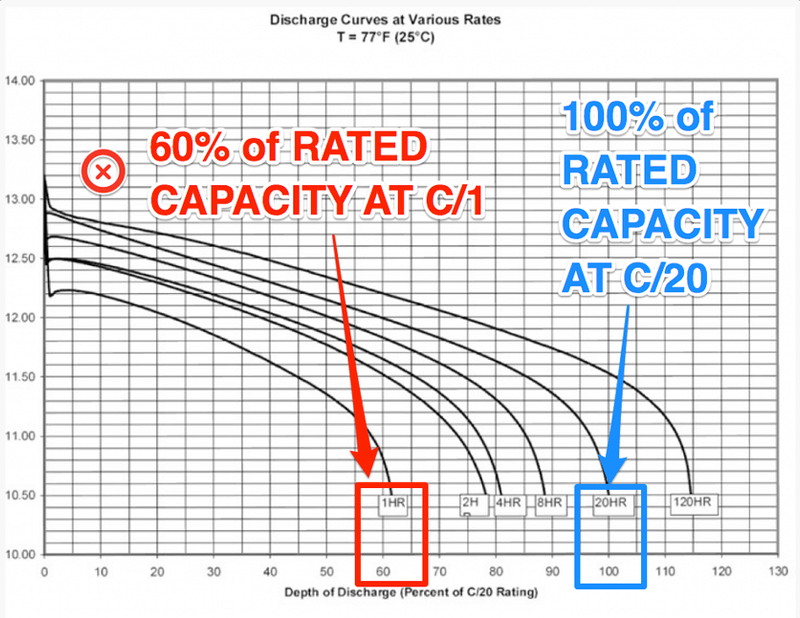 If discharged in one hour (C/1), only 60% of rated capacity will be delivered by the battery. This is direct effect of Peukert losses. 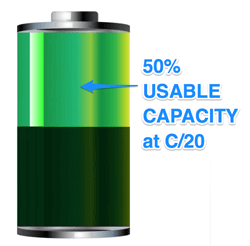 At the end of the day, an AGM battery rated for 100Ah at C/20 will provide a 30Ah usable capacity when discharged in one hour as 30Ah = 100Ah x 50% DoD x 60% (Peukert losses). 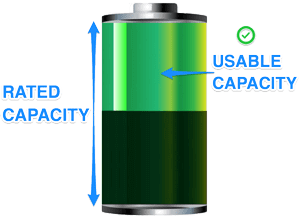 A typical 8D sized battery that is commonly used for large battery banks is 20.5″ x 10.5″ x 9.5″. To pick a specific 8D example, BULLSPOWER BP AGM weighs 167lbs, and provides just 230 amp-hours of total capacity – which leaves you with 115 amp hours truly usable, and only 70 for a high discharge applications! 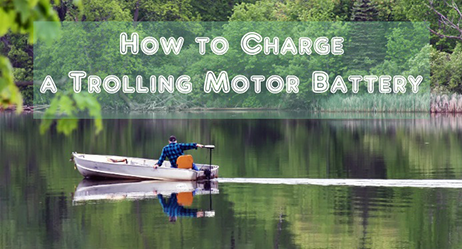 If you are designing for extensive boon docking, you will want at least four 8D’s, or as many as eight. That is a LOT of weight to be carting around that impacts your fuel economy. 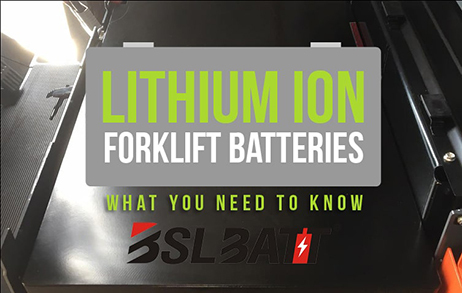 And, if you have limited space for batteries on your rig – size alone of the batteries will limit your capacity.